The Brewers and Francisco Rodriguez, reliever and set up man for John Axford, agreed to a reported $8 Million contract, shortly before the noon CT deadline, for arbitration eligible players. Rodriguez a closer through his career, accepted the set up position with the brewers last year, speculation is he would like to be a closer again.K-Rod made $11.5 Million in 2011 and could be traded to a team needing a closer. The $8 Million contract would make a trade more managable, than the figure some thought would be in the range of the $11.5 Million he earned last year. That leaves Pitchers Shaun Marcum, Kameron Loe, and Jose Veras, as unsigned as of this writing. The Brewers Craig Counsell announced his retirement this morning, and will take a position in the Brewers front office. The 16 year veteran an Milwaukee native (Whitefish Bay) played a pivotal role, filling in at 3rd base,Shortstop, and second base. The veteran also had a valuable presence in the clubhouse, with the younger players. The reported position is, Special Assistant to Doug Melvin. Update The Brewers reportedly have come to an agreement with reliever Kameron Loe, no details yet. 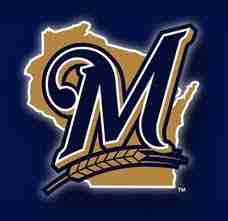 also Norichika Aoki the Japanese star and the Brewers are working out a multi year deal. that leaves Marcum, and Veras that can still be signed even after the deadline. Update! Norichika Aoki deal here.